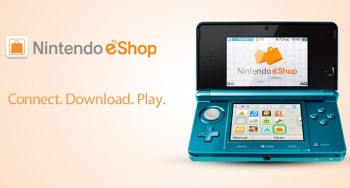 Adult gamers in Europe can now browse and buy 18+ content on Nintendo's eShop at any time of the day or night. In one of the most bizarre examples of game content censorship I've ever run into, Nintendo decided late last year to restrict access to digital content rated 18+ on the Wii U and 3DS to the hours of 11 pm to 3 am. That late-night window, according to a Nintendo rep, was "an additional precaution to make sure that minors cannot access content which is inappropriate for their age," and the fact that adult gamers were caught in that wide net was apparently just one of those unfortunate omelettes-and-eggs situations. But now it seems that Nintendo has recognized the error of its ways and removed the restriction, allowing adults to "browse and buy all games at any time of the day." "Following analysis of the Parents Controls system on the Wii U and Nintendo 3DS in cooperation with USK, the German Entertainment Software Self-Regulation Body, it was deemed that Nintendo's Parental Control system is of very high quality and offers a remarkable level of protection for children," the company said in a statement sent out to users. "Nintendo's Parental Control system was found to have proved itself in practice." Nintendo confirmed that the statement was legit, telling Eurogamer, "At Nintendo we always aim to provide a safe gaming experience for fans of all ages and ensure that we comply with applicable legal age restriction requirements across Europe. The USK is the perfect partner for Nintendo to achieve this." The USK was involved in the process because it was concern with German content regulations that led to the restrictions in the first place.